Currently viewing the tag: "Joint"
Immediately delving into the root of what Mission Command, commander’s intent, command by negation (used by the U.S. Navy and may come with some cockiness), centralized planning, decentralized execution the Chairman looks to move the “empowerment bar” back a bit more toward the tactical level. Sounds much like I described in Developing Naval Leaders: A Gamer’s Method. This will be critical as our Military forces must remain empowered to execute operations against an adversary in their tactical specific realm. He goes further to note that these models of command must be complimented by adept and adaptable leaders at every level. 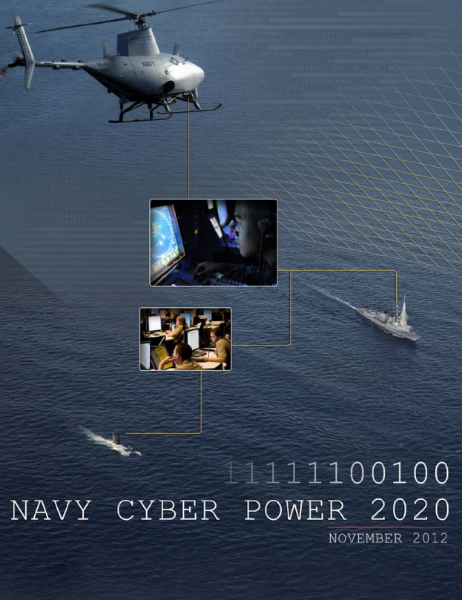 I wrote about Technology-Centric Warfare supported by Information-Centricity and one of its main points was the technological superiority aspect that the U.S. Military has always relied upon. The Chairman also notes that the “pace of change” and the “speed of operations” will only increase. This brief statement has a very large and monolithic challenge hidden within. The human element, for the most part, has been relatively constant with its ability to learn & understand. This then translates to a fairly constant speed at which we’re able to change and adapt both individually and organizationally. This conceptual statement dies rapidly at the staffing level, within the Navy, if not assured by the Commander’s authority and responsibility. But is in the “spirit” of John Boyd’s Observe-orient-decide-act or “OODA Loop” cycle. Much of this cyclical process is based on the empowered Commander’s ability to understand and ensure trust both up and down the echelon scale. These abilities will then foster the capability to provide “superior speed in competitive cycles of decision making;” a significant necessity I’ve seen numerous leaders state requirements for yet goes without being addressed. To instill this ability should we be supplementing the education our leaders receive with something like Carnegie Mellon’s Decision Sciences or Strategy, Entrepreneurship, and Technological Change? What I do know is that while we routinely enjoy being in communication with subordinate units, the next higher echelon, and the planet the Military and Navy are not ready to execute without that tether. A far cry from our history.